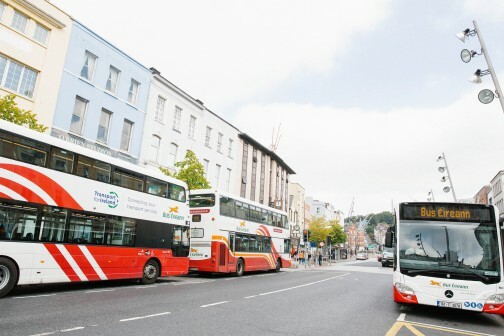 Bus Éireann and Transport for Ireland (TFI) will introduce new promotional fares tomorrow, to mark the re-introduction of bus priority measures in St. Patrick Street, Cork. Passengers parking at the Black Ash Park & Ride can also benefit from an improved service, which will now operate from 7am to 8pm Monday to Saturday, with a 10 minute bus frequency during peak hours of 7-9.30am and 4pm-7pm. The route commences at Black Ash and now travels via the South Link Road stopping at Eglinton St, Merchant’s Quay (via Parnell Place), St. Patrick Street, Grand Parade, South Mall and Anglesea St. The enhanced service will no longer stop at/serve Lapps Quay or Albert St. Passengers who park cars (and up to four companions) and board at the Black Ash Park & Ride, just pay for car parking and present the ticket to the bus driver. This ticket ensures return transport to and from Cork city centre without further payment. Foot passengers can also board the bus at the various stops. These passengers can also avail of the promotional Leap Card fares - as applied to other Bus Éireann services - until September 15 next.